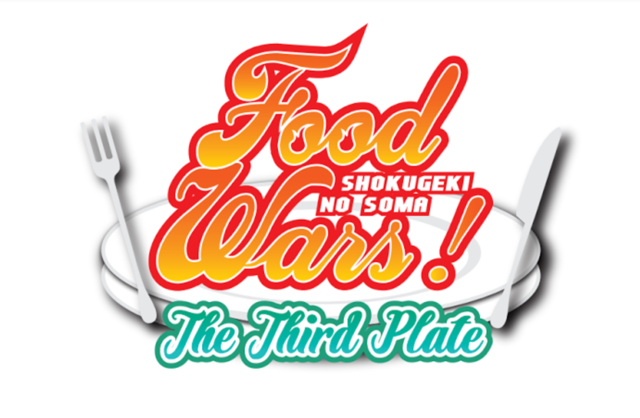 Season three of Food Wars! 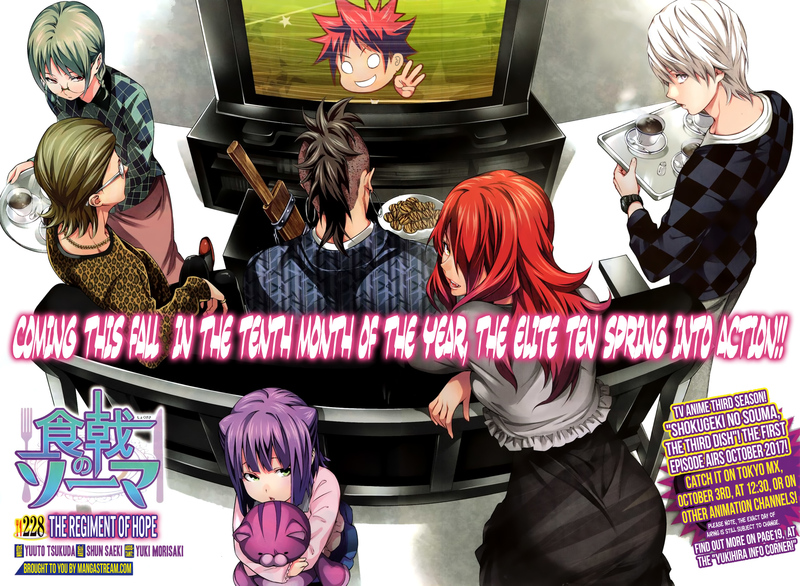 Shokugeki no Soma faces a whole new challenge as Soma and the others go up against the the new head of the Totsuki Culinary Academy which follows the written works and manga by Yuto Tsukuda. The third season will air in Japan and come to everyone worldwide in October of 2017. This season will be directed by Yoshitomo Yonetani and features animation by J.C. Staff. The series debuts on Japanese TV in October of 2017 and will be distributed and streamed to survives like Crunchyroll. If you read the current manga, then you’ll definitely be excited about the upcoming season since it will try to follow as much of it as possible, I personally cannot wait to see it animated because it’ll reveal things that may have not made sense at first or just seeing all the wonderful dishes come to life. Anyways, what are your thoughts? Go ahead and comment down below telling me what you think about the upcoming season three of Food Wars! Finally!!! I’ve been waiting for this. As someone who has yet to read the manga, I ‘m excited to see how far Soma has come in finding his own cooking style. Not to mention that I want a rematch between him and his dad. Since you read the manga, which season do you reckon we’ll get the showdown where Soma competes for one of the top ten spots?